What does “Voice First” mean? 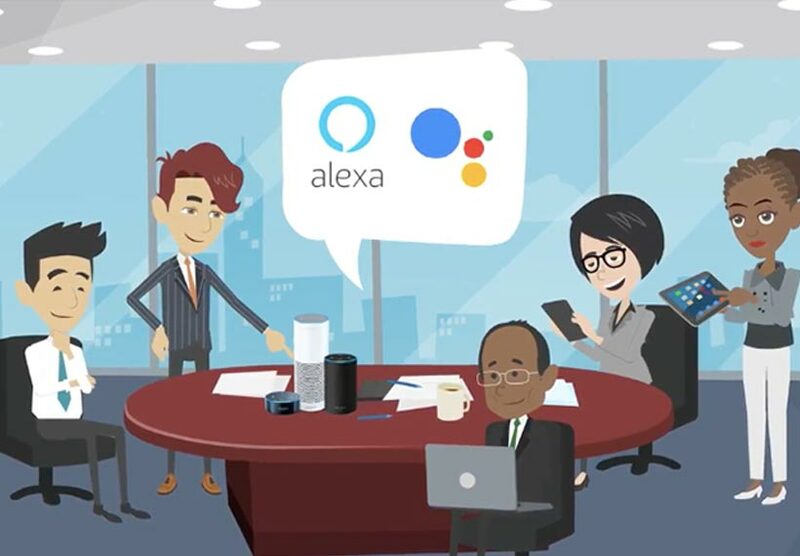 “Voice First” means that the interface (for instance, smart speakers, such as the Amazon Echo and Google Home) are designed so that users use their voice as their primary mode of interaction, and first before going to the visual component of the experience (such as looking at an accompanying visual interface). The iPhone, for instance, even though it has Siri embedded in it and can be used by just saying, “Hey Siri,” is not a Voice First interface, as its primary mode of interaction is the visual and touch screen. What are the main voice first platforms and devices available in the market today? Go here for a matrix showing all the main Voice First Platforms and products. When did Amazon launch the Amazon Echo? The Amazon Echo was introduced as a by-invitation-only device in November 2014, and became generally available for purchase in June 2015. When did Apple launch Siri? Siri as a feature of the iPhone was launched on October 4th, 2011, as part of the 4S release. When did Google release Google Home? Google Home was released in the United States in November 2016. The device was announced in May 2016. When did Microsoft release its smart speaker? As of 2019, Microsoft has not released a native smart speaker the way Amazon, Google, Apple, and Alibaba have. When did Apple release its smart speaker? Apple began taking orders for its smart speaker, the Apple Homepad, in January 2018. When did Apple launch its third party developer SDK? Apple launched Sirikit, its third party SDK for Siri, in June, 2018. How many smart speakers were sold in 2019? How much are people using voice when they search? Various statistics are bandied about, but what is well known is that searching by voice is becoming increasingly prevalent. According to MediaPost.com, about 30% of searches will be done without a screen by 2020. while ComScore says that by 2020, 50 per cent of all searches will be voice searches.